Tall Emu have always produced everything they said they would and the results have certainly exceeded our expectations. Tall Emu offers unparalleled customization at its price point. We absolutely love our new website! Not only does it look beautiful, but it also is technically superior and incredibly functional, as it interfaces with our Tall Emu CRM….his has truly been a team effort drawing from the wealth of knowledge, expertise, talent and passion. Tall Emu have a wide range of experience in the development of business systems which has proved very valuable to Firstfolio in enhancing our business automation and online systems. I’m not sure how to say this, but I trust Tall Emu to do the right thing. I can’t remember the last time I felt that way about a software company in the post-Microsoft-antitrust era. Tall Emu developed a superior reporting solution that exceeded our company’s objectives and expectations. Their expert guidance through the project was invaluable. 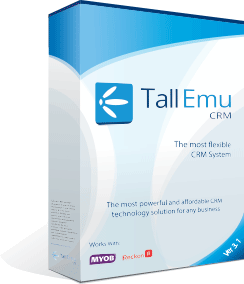 After working with Tall Emu for close to 2 years I can honestly say that the Tall Emu CRM package on offer is excellent value for money. In addition, the ability to make minor design changes and additions has saved us a substantial amount in post development costs. David has worked with us intimately over the past year and has exceeded all the targets that were set. He have also managed to reduce our marketing spend per lead to a sustainable level and the quality of those leads have also increased. David has given us the confidence and the strategy to successfully use our web presence as a killer marketing tool.